UPDATE: Toy Story Land is slated to open Summer 2018, as we expected. While we have a (projected) completion year for the Star Wars themed land at Disney’s Hollywood Studios of 2019, there still hasn’t been any mention of a time-frame for the opening of Toy Story Land. 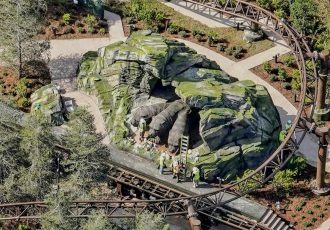 There have been rumors that the company is aiming for a 2018 Memorial Day opening, but an official announcement has not yet been made. I’m sure the intention is to get it up and running as soon as possible, and certainly before Star Wars opens to help even out crowds in the park. 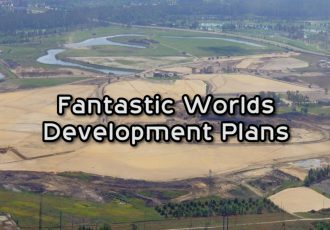 So what can we expect this new land to bring to the increasingly empty-ish Hollywood Studios? What types of new rides will it bring? What will the theming be like? What things from the original plans have already been cut due to budget and time restrictions? 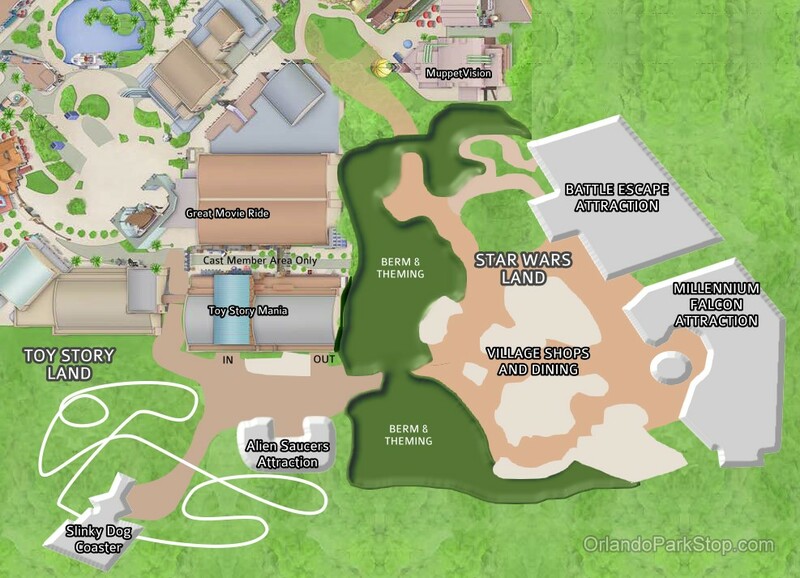 And how will the new land fit into the park with the new Star Wars land coming soon after, and how will it connect to the existing Toy Story attraction? 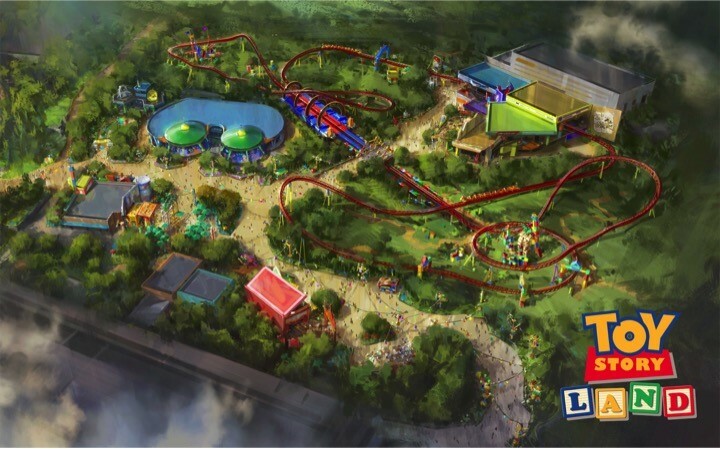 Read below to see what we know, what we think we know, and what we don’t know, about Toy Story Land. Where does this street fit into the new plan? 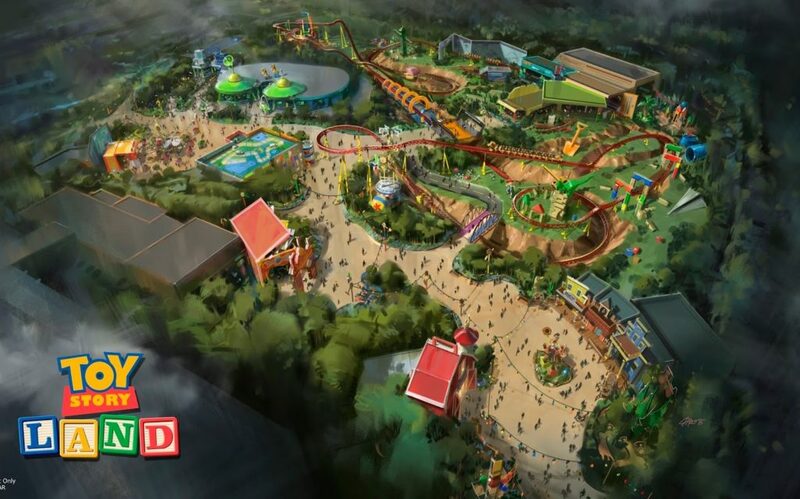 Toy Story Land is being promoted as an 11-acre addition to Disney’s Hollywood Studios, and it is an actual “addition” because it is being built in what was previously a backstage area not accessible to guests. The Studio Backlot Tour, an opening day attraction, closed back in 2014 as part of this expansion, but most of the land being utilized is actually coming from cast member only areas. This includes the wardrobe department, which was recently relocated to another area of the property. 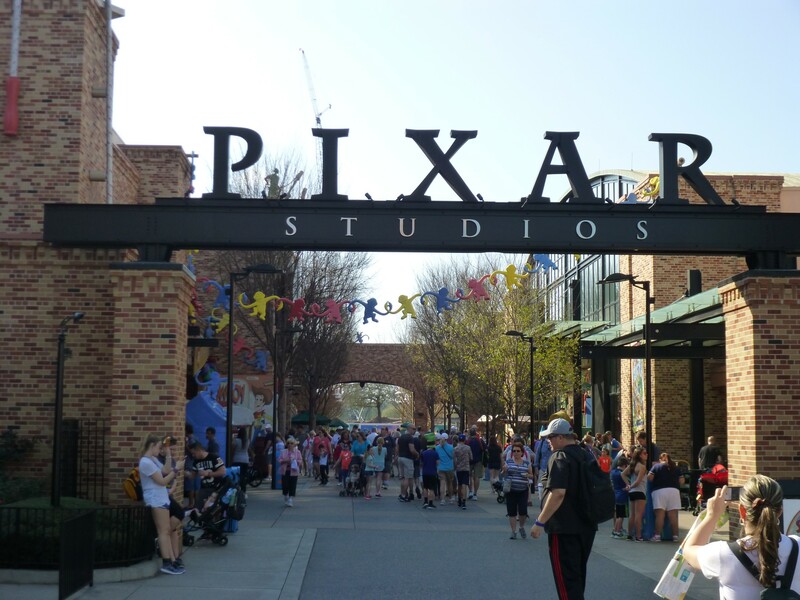 When the park first opened the street currently known as Pixar Studios was originally part of the backstage area. 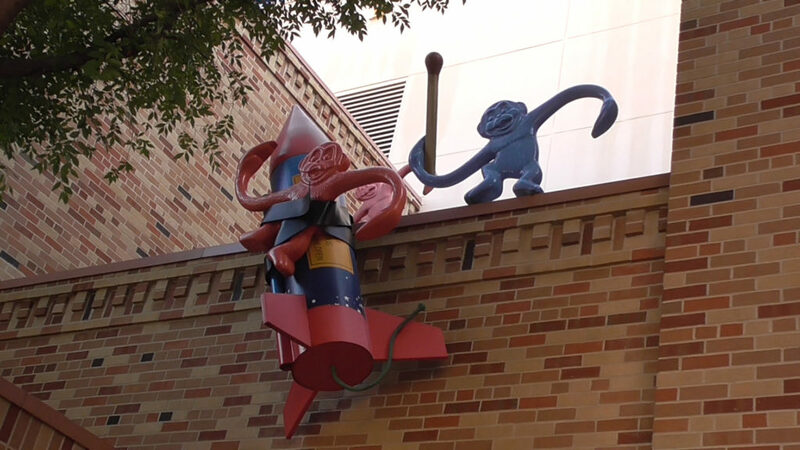 The buildings now occupied by Toy Story Mania were originally designed for Television and movie production. One of the earliest productions was the 1990s reboot of the Mickey Mouse Club. Over time, as production at the park dropped off, the buildings started to be used for guest experiences like the interactive show Who Wants to Be a Millionaire: Play It. It was at this time that this access road was opened up to guests. This linked the Streets of America area to the rest of the park, removing a dead end near the Backlot Tour, much to the delight of guests like myself. (Unfortunately, now there’s a new dead end because of the ongoing Star Wars and Toy Story Land construction.) It’s expected that this road will once again be closed off from guests when Toy Story Land opens. 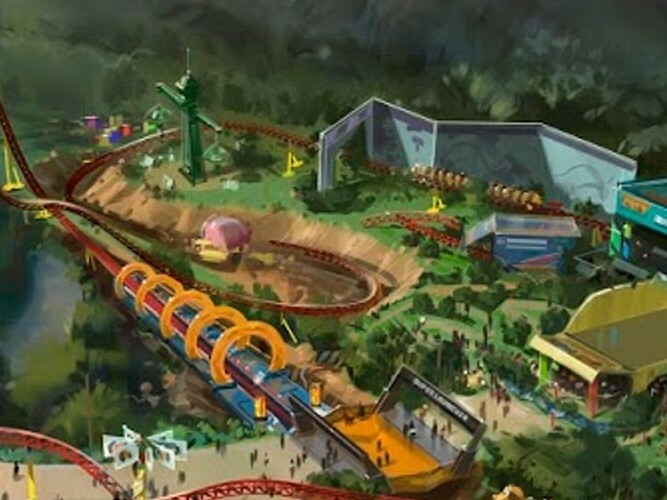 The new land will feature two new attractions: Slinky Dog Dash and Alien Swirling Saucers. Those names may only be temporary and may change as time goes on. The new Slinky Dog ride will be a family-friendly roller coaster and the Alien Swirling Saucers will be a spinner ride similar to Mater’s Junkyard Jamboree in Disney California Adventure, themed around the little green aliens with three eyes. 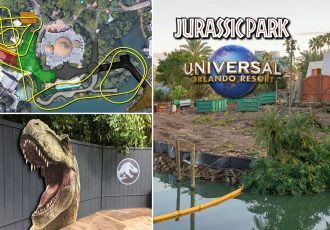 It is assumed that the area will also contain some food and beverage options, gift shops, and meet and greets. These will most likely be larger versions of the current offerings in front of Toy Story Midway Mania, now with more space to work with. Let me preface this section with a disclaimer. I do understand that concept art is just that, a concept. And that things may change as the project moves into the construction stage. However, I have heard from several sources that the budget for this new land has been cut. More importantly, the timetable for the land had been pushed forward as well. In other words, even if the funds were available, there still wouldn’t be enough time. Other than the missing trenches below the coaster, the first thing I noticed was the old west themed area located near the entrance to Toy Story Land, shown in the bottom-right of the image. On the left side of the path is a red barn, made to look like a Fisher-Price barn toy, but also somewhat reminiscent of Al’s Toy Barn from Toy Story 2. This could be the perfect facade for a toy store in the new land. To the right of the path is Woody’s western town, and probably the part I’m most sad to see disappear from the concept. 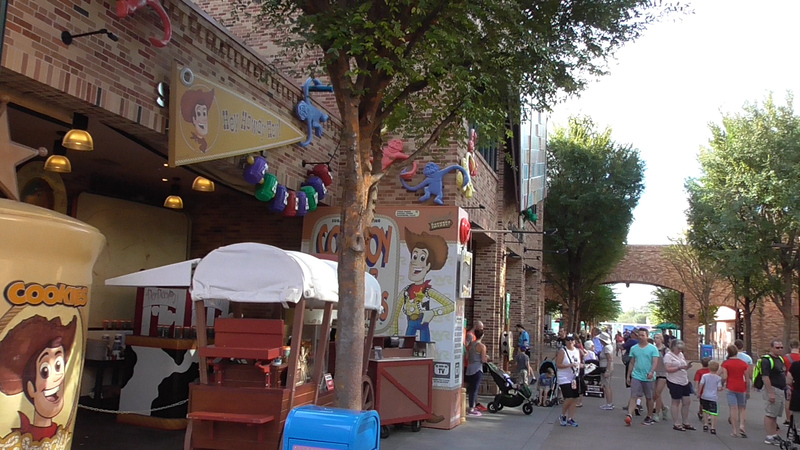 This small old west style street from Woody’s Roundup would be the perfect counter-balance to Buzz Lightyear’s futuristic theming near the alien ride on the other side of the land. 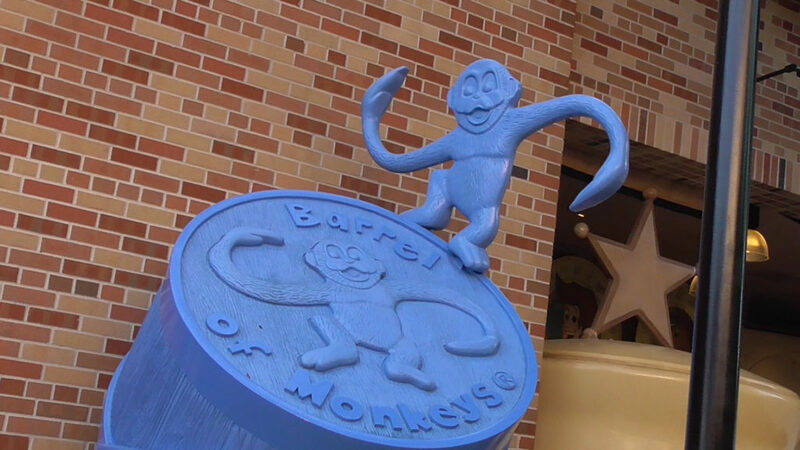 This little area’s centerpiece is even a large Woody riding Bullseye statue, similar to the large-scale Buzz statue we see in the concept art in front of the alien ride. The buildings could’ve contained a restaurant in the saloon and a small gift shop in the Sheriff’s station, selling sheriff and deputy badges of course. All of the western theming seems to have been removed from the current concept art. Moving further into the area it looks like many more props and scenic elements are removed or simply replaced with inferior variations. This includes a full-scale Green Army Men bucket, Luxo Ball, pinwheel, and more near the coaster. The new entrance to Midway Mania appears the same in both versions of the concept art, and for the most part, so does the new ride exit. 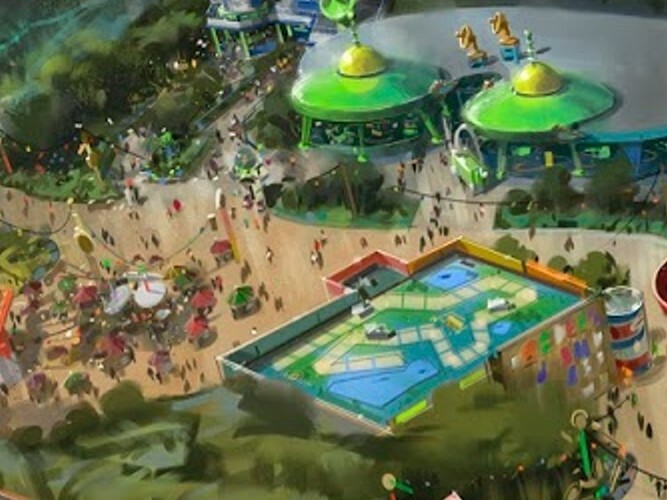 But near the Midway exit in the original concept appears to be an outdoor snack stand and seating area that looks very different in the revised version. Also, an entire large building with a board game design on top is completely gone from the new version, located between the Midway entrance and exit in the original. This might’ve been a larger meet and greet area, or perhaps another store or restaurant. Whatever it was, it seems to be gone now. Nearly all of the more elaborate theming around the Slinky Dog coaster track has been pared down. What was before a colorful and fun looking atmosphere has been reduced to green grass and a few scattered tinker toys. Gone are large arches made of wooden blocks, a paper airplane, a big plastic shovel, barrel of monkeys, and a large fold-out backdrop at the end of the ride. Of course there’s always the possibility that some of these absent items may be pushed off as expansions to be added in later. I notice there’s only trees and foliage in place of the old western town near the entrance, so maybe that part could be added later. I wouldn’t get my hopes up, but you never know. Now that we’ve talked about what isn’t, let’s get into what is. The new land is meant to look like Andy’s backyard. And we’ve been shrunk down to the size of a toy. That means all of the decor and theming will reflect that. 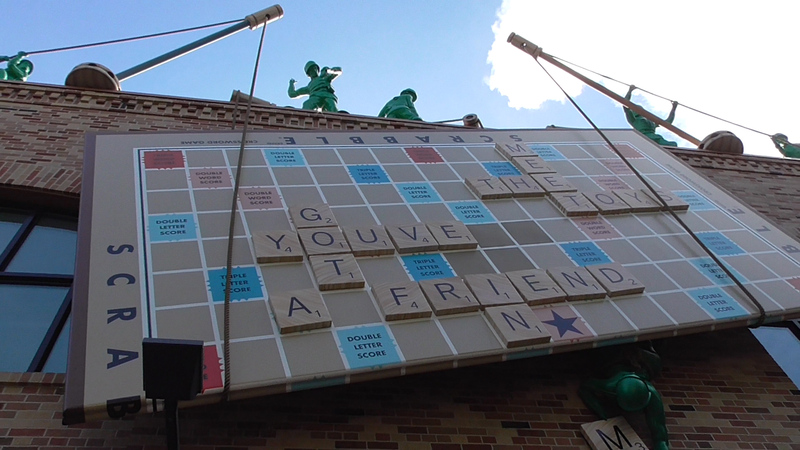 The theming inside Toy Story Mania already does have us as the size of a toy, so this will just extend the concept outside. I love the giant stacked board games like Mouse Trap in Midway Mania’s queue, and I think that style works well to create a fun (and nostalgic) atmosphere. With the Honey, I Shrunk the Kids: Movie Set Adventure play area now closed to make way for Star Wars, it’ll be nice to have another land where you get to be small and see everyday things from another perspective. 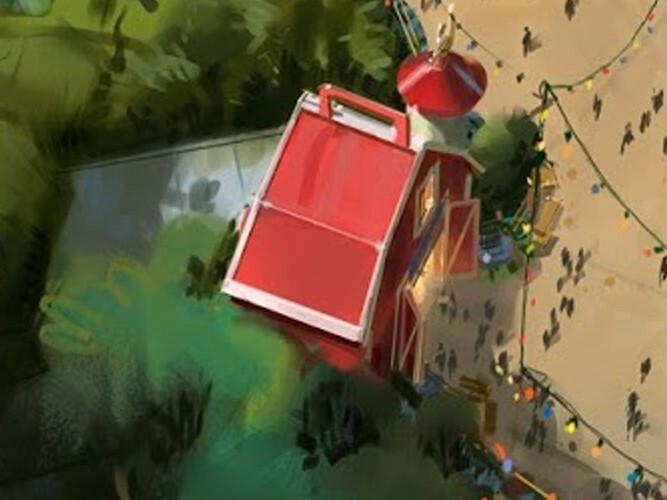 In studying the concept art it appears that much of the theming will be tinker toys, building blocks, and Christmas lights suspended from pencils. I understand that Disney doesn’t have the rights to use all toys in their land, and they certainly don’t want to utilize LEGO bricks when Legoland is one of their competitors, but there is something a bit repetitive in the current concept art when it comes to theming. I’m hoping that all of the themed elements currently on display in the existing Pixar Studios area are eventually moved into Toy Story Land. There are many cute and interesting things already in use, including the many mischievous monkeys that escaped from their Barrel of Monkeys. There’s also a talking Mr. Spell (a Speak and Spell type toy,) Scrabble tiles, green army men, and more littering the street. I hope they all make their way into the new land. Looking at the current version of the concept art (above) we can get an idea of where everything will be located in this new land. 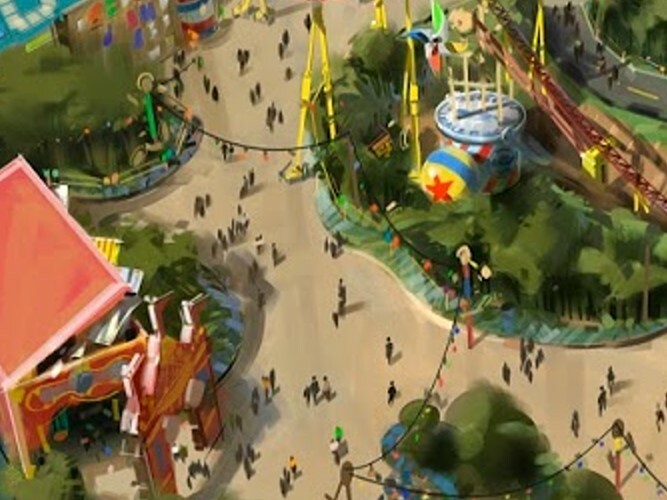 The existing Toy Story Mania ride is located beyond the bottom left-hand corner of this image. The new entrance will be the red toy box near the bottom-middle of the image and the exit is located somewhere on the far left-side. 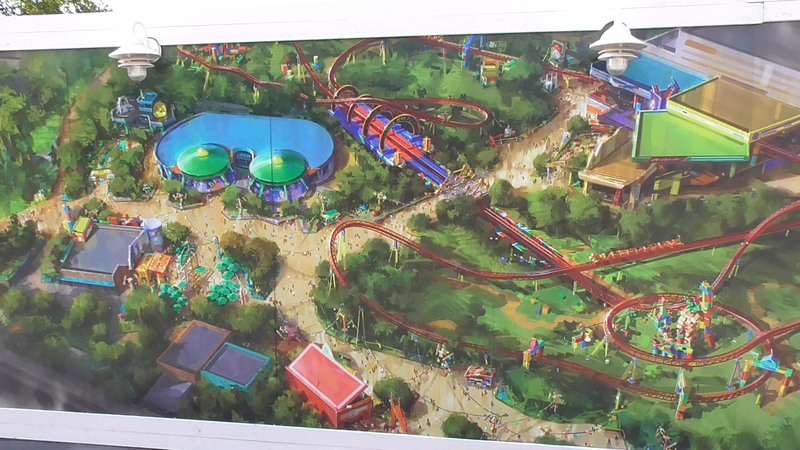 Obviously you can see where the Slinky Dog coaster is located, with its entrance and exit located at the dead end of the path leading towards the top right-hand corner of the image. And the Alien Saucer attraction is the building with the two green saucers on the roof. If you were to follow the path all the way to the left you would enter Star Wars land. I’m guessing until that opens this will be a dead end though, which means there will be quite a bottleneck of people at the one and only entrance/exit for the new land. 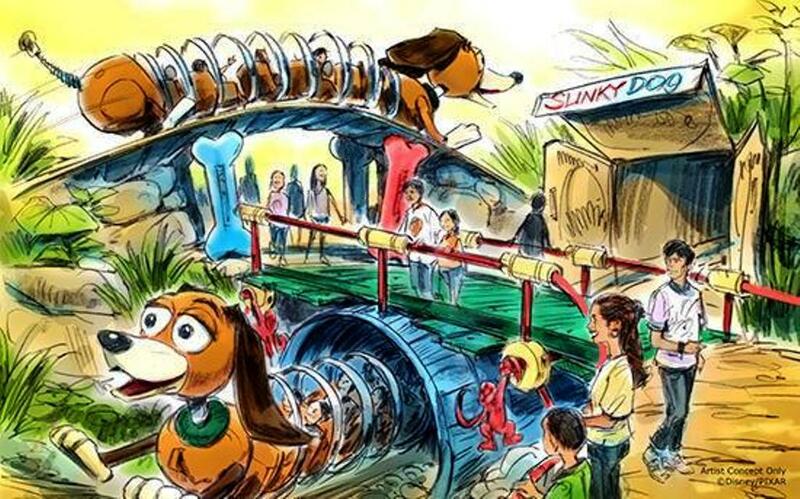 Slinky Dog Dash will be a family coaster similar in thrills as Goofy’s Barnstormer at Magic Kingdom, but with a larger footprint and longer track. The story for the ride is that Andy used his Mega Coaster Play Kit to build a roller coaster all over his backyard, and Slinky Dog is the coaster train. Andy’s combined the coaster track from his playset with lots of his other toys, because he’s so creative. On Slinky Dog Dash, you will zip, dodge and dash around many turns and drops that Andy has created to really make Slinky and his coils stretch to his limits. It’s a fun and exhilarating family coaster attraction and it will be one that you’ll want to do over and over again. Magnum also says riders will see various Toy Story characters around the coaster track including Rex the dinosaur, Jessie, Wheezy, Mr. Spell and Mr. Mike. Rex can be seen in concept art perched atop a falling Jenga tower. It’s possible that the ride may feature one, or even two, propulsion launch portions. Without an initial climb to get the ride started, this may be the only way to get up the first hill. Another launch sequence may be as the coaster train passes under the pedestrian bridge, propelling the train through several racecar themed rings on the track. No official word yet about launch sequences, but from the concept art this seems to be pretty clearly a part of the ride. Rockin’ Roller Coaster in the same park, and Revenge of the Mummy, Escape from Gringotts, and The Incredible Hulk Coaster over at the Universal parks already feature launch sequences in Orlando, but this would be the first family style ride to do so. Specifics on coaster speed, length or time have not been released at this time. This is not the first ride based on the Slinky Dog character. You can find Slinky Dog Zigzag Spin at Paris’ Studio Park, along with Hong Kong and Shanghai Disneyland. In that ride the Slinky Dog is connected end to end and rotates in a circle rising and lowering, not unlike the Dumbo ride. The entrance to the spin ride features a large-scale classic style Slinky Dog product box with the name of the attraction on it. 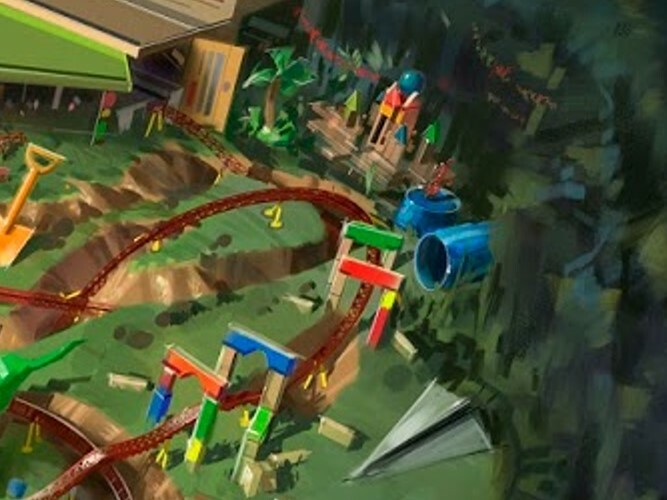 Something similar is featured in the initial concept art for Toy Story Land for the coaster entrance. As you rotate around the toy planets and satellites as part of the game, you’ll swirl to the beat of fun “Space Jazz” music developed just for this experience. The music, the lighting, and the sound effects will add to the flurry of your adventure while “The Claw” looms ominously over you. 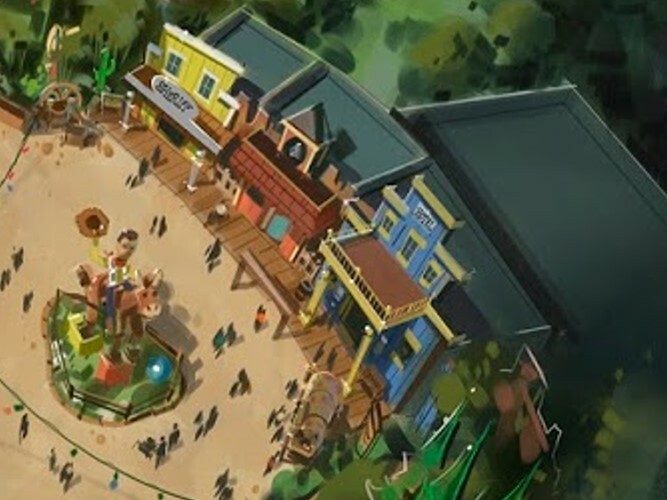 This attraction will be a whip ride, similar to Mater’s Junkyard Jamboree in Disney California Adventure, which is like a more tame version of the classic carnival attraction “Tilt-a-Whirl.” Also, just like the Mater attraction it seems like this new ride will feature an original soundtrack created specifically for it. There will be two identical sets of the ride to help with capacity, similar to the set up of the new Dumbo ride in Fantasyland. 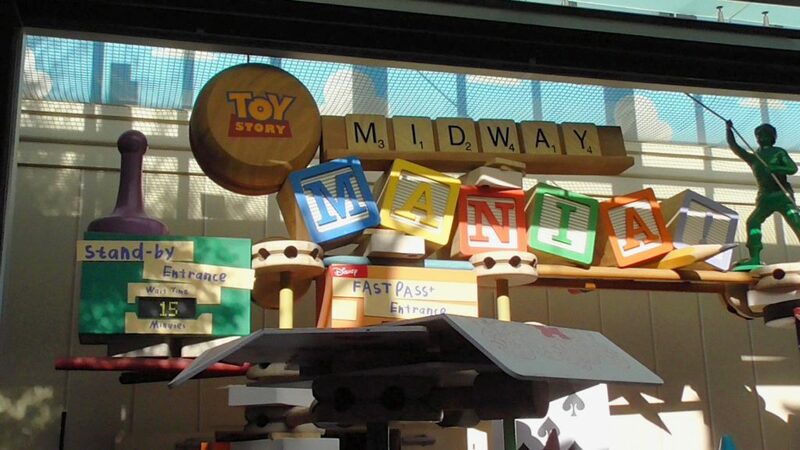 Of course, the very first step for this new land was the expansion of Toy Story Mania. 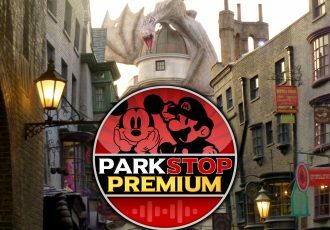 A third track was created to help alleviate the incredibly long wait times for this attraction. The third track officially opened in the summer of last year and has helped keep the standby line considerably shorter. The final step in completing Toy Story Land will also involve this flagship ride. The ride entrance and exit will need to be moved to the other side of the building. I imagine this will not be an easy undertaking, and may even involve adding in some stairs and elevated walkways, or at least pathways between tracks in what is currently cast member only areas. The upside to all this is with a proper land and not just a small street, there will finally be enough room for guest traffic leading to and from this major attraction. The current pathway was never intended to handle this much traffic and is a crowded mess for most of the day. Oh no! Somebody needs to take that match away from him! 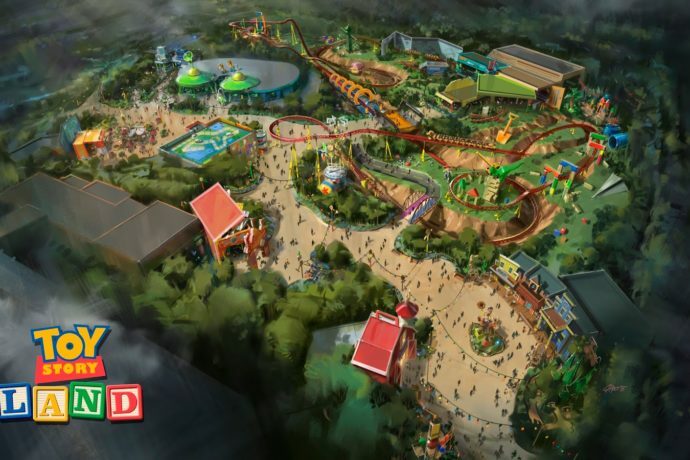 What do you think of the addition of Toy Story Land to Disney’s Hollywood Studios? Is this just being thrown together at the last minute to help divert traffic away from Star Wars when it opens? 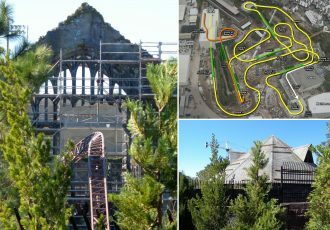 Or do you think this is some sorely needed family attractions at a park with very little to offer children besides shows? I’m excited, but cautiously optimistic after the changes I see due to apparent budget cuts, but who knows. At the very least, the park is getting a Barnstormer level coaster for the kiddies, and that’s always good. Be sure to follow our news feed and YouTube Channel to keep up to date on construction updates for Toy Story Land! You can see all of our previous updates by clicking here, or watch the most recent video below! All original photographs by Alicia Stella, unless otherwise noted. Concept art by Disney. Excellent article, very comprehensive. Thanks so much! When the first artwork was presented I was a bit disappointed. Disney Hollywood Studio already had a very popular Toy Story ride and I was hoping for more Pixar movie representations at WDW that we haven’t seen like The Incredibles, Inside Out, Ratatouille, Wall E or the excellent Up. The second artwork killed my anticipation. Thanks! Glad you like the article. We may see Incredibles, Inside Out, and Ratatouille rides coming to Disney World within the next decade or so, just not at this park. You can see my previous Everything We Know article about Epcot for some of that, and stay tuned for more articles as more rumors and news develop. Personally, I’d love to see something based on Wall-E too, but unfortunately that’s the one property that never comes up when Disney talks new rides. What will happen to the area where the Woody & Buzz meet & greet is? The old meet and greet, the old Midway ride entrance, and everything else on that street will become Cast Member backstage area again. The new Toy Story Land will have new larger meet and greets, a larger food window, and of course the new entrance to the Midway ride. After the new land opens, there will be no more Pixar Place street for guests, unfortunately.